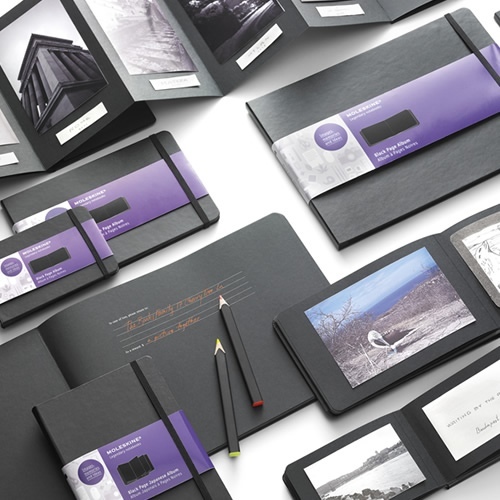 Moleskine is going all black with its latest collection. Moleskine Black is a new collection of books designed for photos, scrapbooking, art, and of course, doodling. Moleskine is also complementing the books with fluorescent gel pens and pencils that are perfect for those blacked-out pages. ATTENTION! Luggage handlers of the world, this is a product you can rob easy!!! 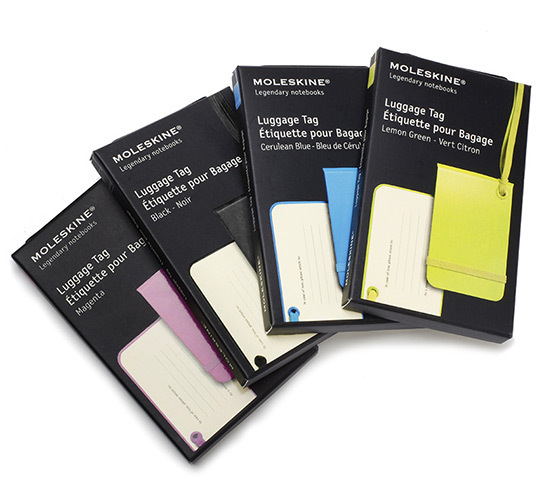 Moleskine, a leader in quality notebooks, has released a line of luggage tags featuring the classic design and aesthetic the company has become famous for. 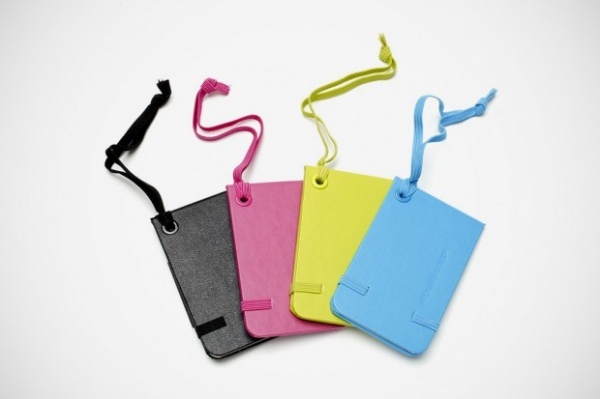 Constructed to include all notable elements of a Moleskine, such as its rounded edges, elastic band closure, and embossed signature, these tags are available in Black, Cerulean Blue, Magenta, and Lemon Green. Even though they will most defo only last a couple of trips to the baggage hold I will be teaming oneup with my next purchase of a Rimowa trolly case.